These are pieces that show my versatility. Simple typographic treatment for an album cover. I created these illustrations for an ad campaign at Tilt. We had fun with the “long-shadow” trend. This was one of the many projects I did for Florida Power and Light. During SXSW in 2012 Eventbrite threw a mini convert at the Empire Auto. The theme was inspired by the venue which was converted from an auto body shop into a concert hall. 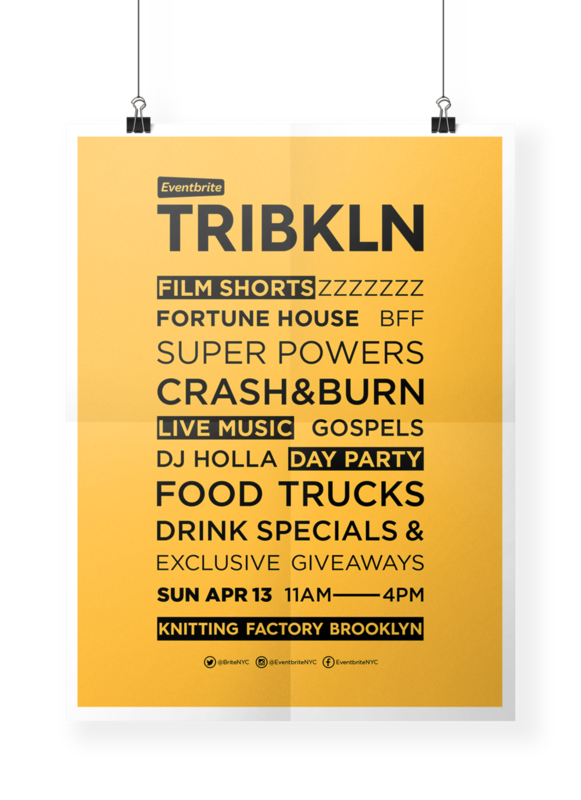 TRIBKLN was an event that ran in conjunction with the Tribeca Film Festival in 2013. These T-Shirts were screen-printed live at the event. It’s pretty fun to see these occasionally pop up in Instagram feeds or around town on Eventbrite employees past and present.